Premier League football teams including Manchester United, Arsenal and Chelsea have received thousands of homophobic responses on social media for showing solidarity with Stonewall’s pro-LGBT Rainbow Laces campaign. 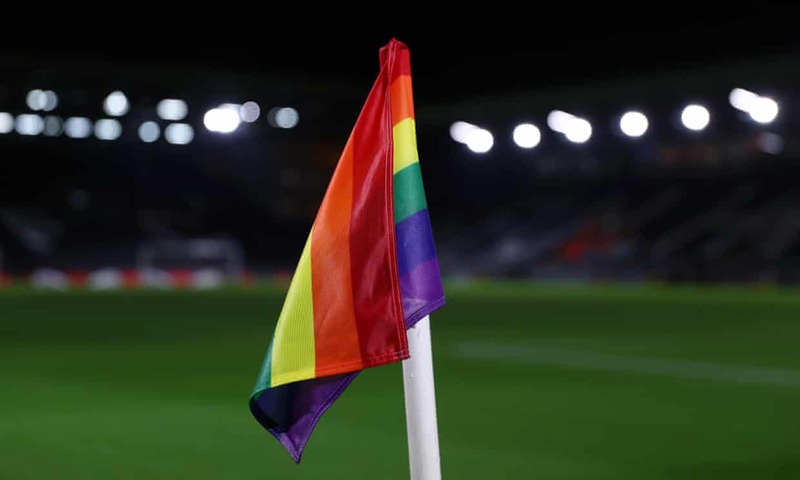 Over the past two weeks the clubs have been posting pictures on social media of rainbow-striped logos and messages to back the annual campaign, which was launched by Stonewall in 2013 to kick out homophobia in football. A post on Manchester United’s Facebook page in support of the campaign received more than 43,000 “angry” responses. Fans’ comments including “Say No to LGBT”, “God created Adam and Eve not Adam and Lukaku” and “Gaychester United” each received more than 10,000 likes. Similar homophobic messages were left on the pages of Arsenal and Chelsea after they updated their profile pictures to include rainbow-coloured logos and messages of support for the campaign. The gay rights campaigner Peter Tatchell said the responses were “shocking” and a wake-up call to the FA and clubs. Kirsty Clarke, Stonewall’s director of sport, said: “It’s great to see so many sports associations across the UK proudly championing LGBT equality as part of our Rainbow Laces campaign. The backlash from a small minority online is a reminder of just how vital it is for all of us to do our bit to help make sport everyone’s game. “This year’s campaign is about giving people confidence to be active allies and show their visible support for LGBT people, either on or off the pitch. It’s been heartening to see that allyship in action, particularly on social media, where we’ve seen countless messages from people who aren’t LGBT calling out abuse from fellow fans and highlighting why their attitudes have no place in sport. An Arsenal spokesperson said the club’s policies made it clear that discriminatory behaviour would not be tolerated.